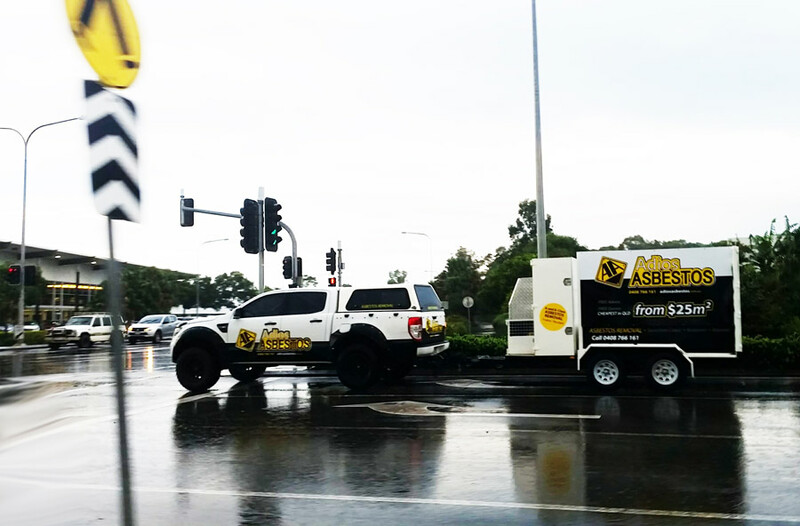 Adios Asbestos is local to the Sunshine Coast but we regularly service areas up to 300km away including Brisbane and the Gold Coast. We hold all professional licenses and insurances and offer asbestos testing, free advice, asbestos removal and replacement of all materials, asbestos management plans, asbestos inspection reports and waste collection of already removed asbestos products. Adios Asbestos have over 10yrs experience dealing with asbestos in the wider community, specifically residential, industrial, commercial, council and government works. We're a community focused local business and are doing everything we can to raise awareness about the threat that asbestos poses, especially to tradies and home renovators! We're always on the job! As a local business we understand how important your time is to you so we're making an effort to "keep the rain off your parade" in the most difficult and testing of situations, including major weather events. Asbestos removal has become a very important issue in the local community and as a growing local business we strive to do all we can to keep our asbestos works on time and on budget! We're just like the rest of QLD, we love a cold beer on a Friday afternoon! As a bunch of hard working locals we do enjoy "cracking a cold one" on a Friday afternoon, but not before all the work is done! If you see us moving this fast on a Friday you can be sure we're off for a well earned cold one! This little video is also a good excuse to show off our brand new wireless remote controlled tipper trailer! Cheers!